It's the 25th anniversary of Power Rangers and the brand is celebrating in style. Tonight, a special episode of Power Rangers Super Ninja Steel airs on Nick featuring some MAJOR returns. Thanks to some promo images, we got a big glimpse at all the classic Rangers coming back for the 25th anniversary episode of Power Rangers, and here's the full lineup. Hasbro debuted a new trailer for the upcoming 25th anniversary episode at Power Morphicon, and during that trailer, we got a full shot featuring 10 classic Rangers and the current crew of Power Rangers Super Ninja Steel. The list is an interesting mix from past seasons, and here's the full list of returning favorites below. That's a nice collection from both the Saban, Disney, and Neo-Saban eras of the franchise, and the Super Ninja Steel team will also have a big part to play in defeating the new enemy who threatens the world. That villain is named Lord Drayvon, and you can find out more about the plot for the episode right here. You can find the official episode description below. 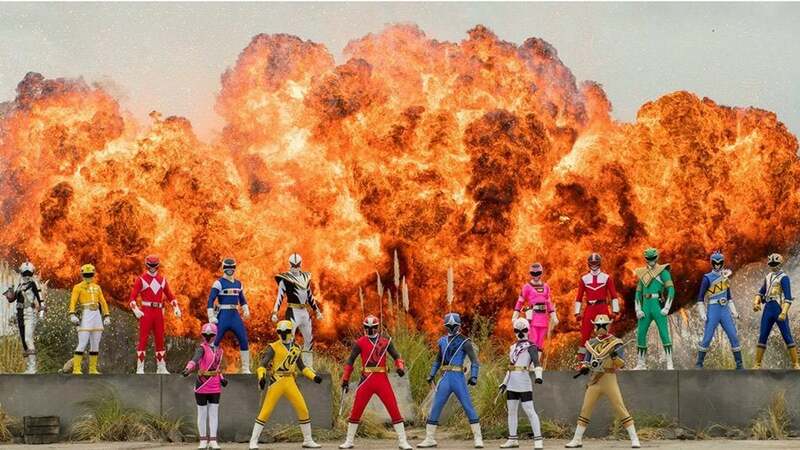 Dimensions in Danger (8/28): "In a special 25th-anniversary episode, the Super Ninja Steel Rangers team up with Legendary Rangers in an epic battle to save the world." The 25th-anniversary special airs in primetime on Nickelodeon Tuesday, Aug. 28 at 8 p.m. ET. For more Power Rangers Super Ninja Steel coverage and all things Power Rangers, follow @MattMuellerCB on Twitter.